The “Gallery” is the spot where you’ll find some of my favorite pieces, under “Originals” you’ll see the work that with just a few clicks of a button could be yours (!!! ), and the “Notecard” section is always popular for finding the perfect piece of mailable art. Every single tree is different. There’s a vacant bird’s nest. The quiet stillness of the whole scene. My very first limited edition print! 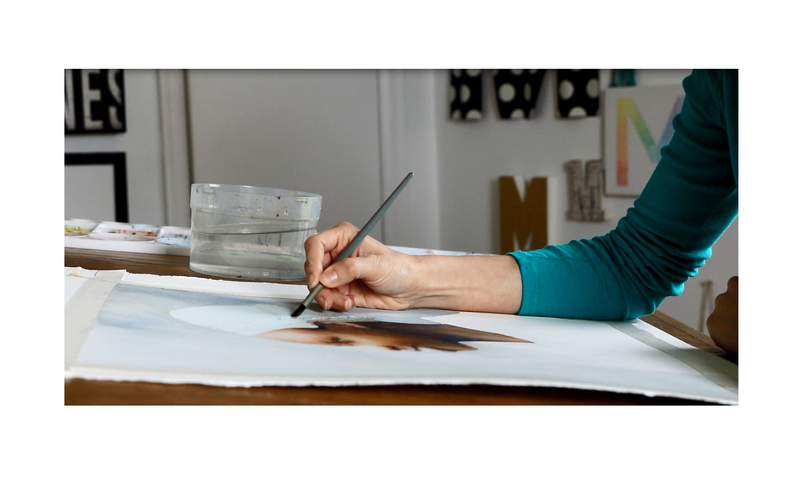 Giclee prints are the highest quality prints available on the market today. I’ve been told that Giclees are being accepted into permanent exhibits at museums and the inks have been tested to last over 150 years. Limited edition of 125 signed and numbered. Addition cost for tax and shipping if applicable.